The co-­working movement is picking up pace. As the digital era spawns new startups across the globe, shared workspaces – creative melting pots where freelancers and small businesses can rub shoulders, swap ideas and even trade business – are exploding across our cities. And their numbers will only rise. A report by property company DTZ predicts that by 2024, micro­-businesses will account for 1.1 million new UK enterprises and self­-employment will surge by 15% in a decade. Across the world, these fledgling businesses are looking for new stomping grounds. And co-working spaces – armed with their own mini eco-­systems of tech facilities, cafes, talk programmes and networking apps – can lure them to places big corporations would fear to go. But can they actually kick­start regeneration? We look at cities across the globe to find out. 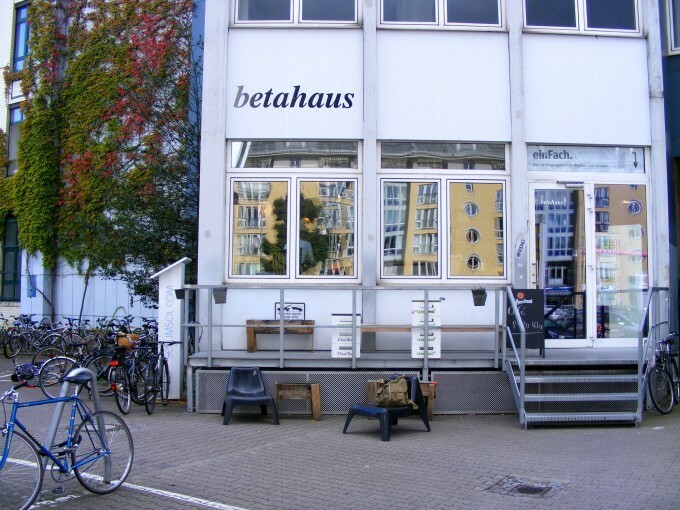 Co-working company Betahaus took over a state-owned building on derelict land in Berlin’s Kreuzberg in 2009, transforming it into a hub for creative startups. Six years later, the 3,000 sq m space is home to more than 300 small businesses and freelancers. And it has been the launch pad for some of the tech industry’s biggest names, including music sharing platform Soundcloud. ‘When we moved in, the surrounding was a desert,’ says Betahaus co-founder Christophe Fahle. 'Nobody would go to that end of Oranienstraße. Now we have an urban gardening spot, design shops and Modulor House, with its architects and creative supplies,’ Fahle adds. ‘I believe we are one of the main factors that have driven this change.’ And it’s a model Betahaus has replicated in Barcelona and Sofia. Over in Detroit, entire neighbourhoods are wastelands. And unlike in Berlin – a magnet for young professionals and creatives – Detroit’s graduates have been leaving the state in droves over recent decades in search of job opportunities. Could co­-working spaces help stem the flow while rebooting these areas? The answer is an emphatic yes. 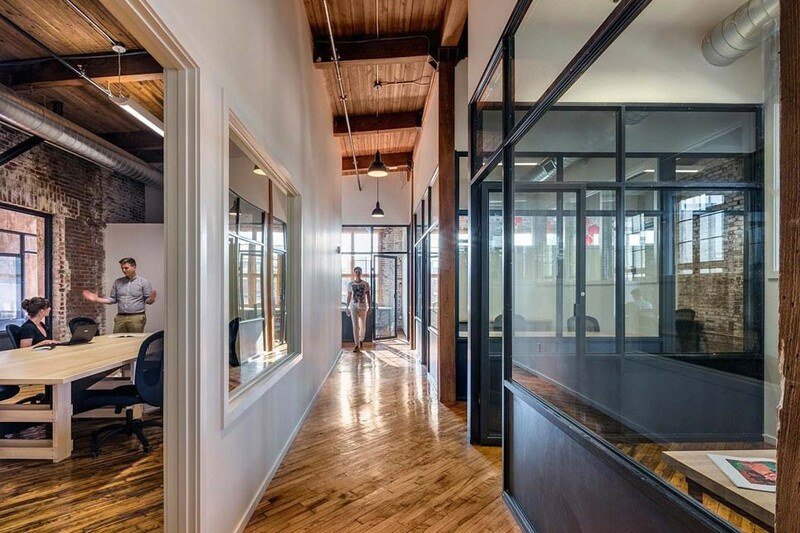 With 78 percent of users being under 40­ years­ old, co-­working hubs could offer Michigan’s graduates the security of an inbuilt micro-­economy that would help them establish work relationships and business. Detroit shares many of Berlin’s architectural qualities too – large industrial structures perfect for reuse as shared studio spaces. One such example is in Corktown, Detroit, where local entrepreneur Phillip Cooley created Ponyride. The 30,000 sq ft space – part business incubator, part collaborative workspace – is firmly embedding itself within the surrounding neighbourhood. Ponyride offers desks to 40 local entrepreneurs for a below-market rental rate. The catch? Each member must give six hours of time to community education a month. The co-­working group is not only physically impacting its block, it is helping develop skills within the wider area. ‘It's about community coming together and asking, “What can we do outside of traditional systems?”’ says Cooley. 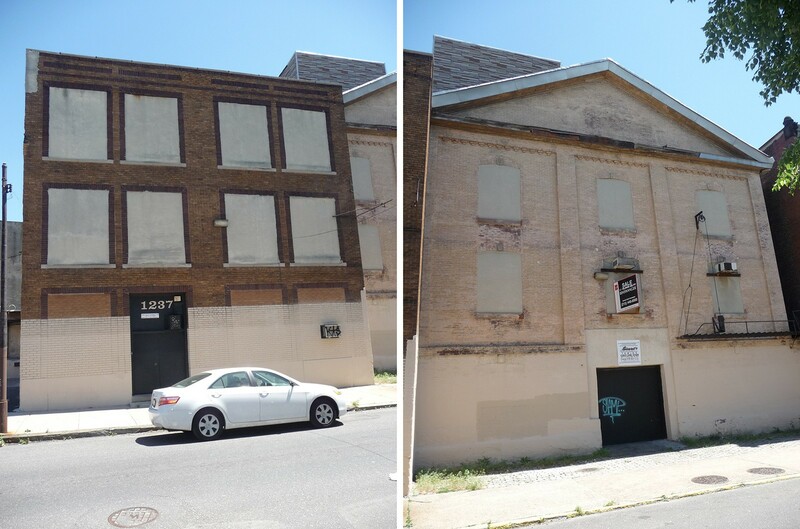 Above: Baltimore’s Eigenbrot Brewery is one of 35 buildings proposed as potential ‘co-working maker spaces’ by Baltimore Heritage and Housing Policy Watch. The scheme would protect the city’s endangered industrial buildings while providing cheap space for local entrepreneurs. Luring large companies – and their armies of staff – to areas not on the manufacturing map is an uphill challenge. So Baltimore Heritage and Housing Policy Watch are proposing a different tack. They want to transform 35 vacant buildings in the Southwest of the city into co-working ‘makers spaces’ for small-scale manufacturers. Craft food and beverage makers, clothes manufacturers and even ‘waste-to-wealth’ incubators – who turn trash into cash as new products – would all be able to rent cheap space if the plans go ahead. They’ll share access to equipment, facilities and other infrastructure. Will this have a positive impact on the area? That remains to be seen. But the architecture of the neighbourhood certainly lends itself to these workshops. 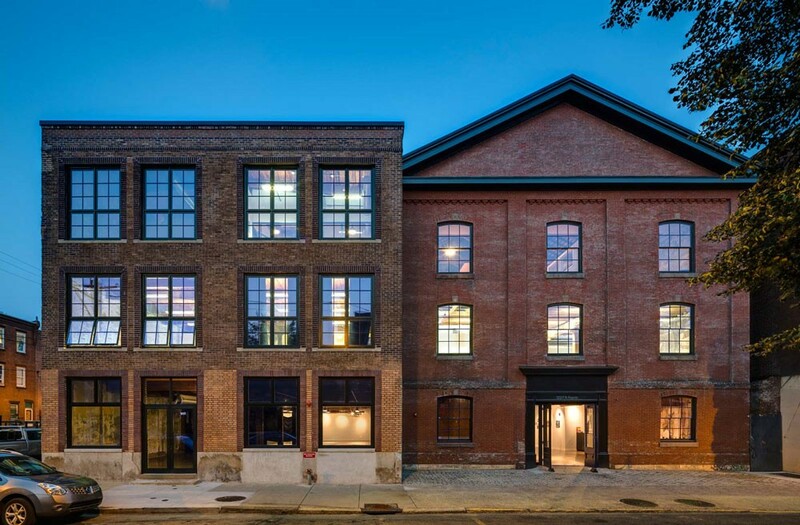 ‘These buildings speak to a grand era, made for industry: there was a lot of thought put into them, beautiful and functional, with incredible brickwork and window treatments,’ says city urban planner Andy Cook. 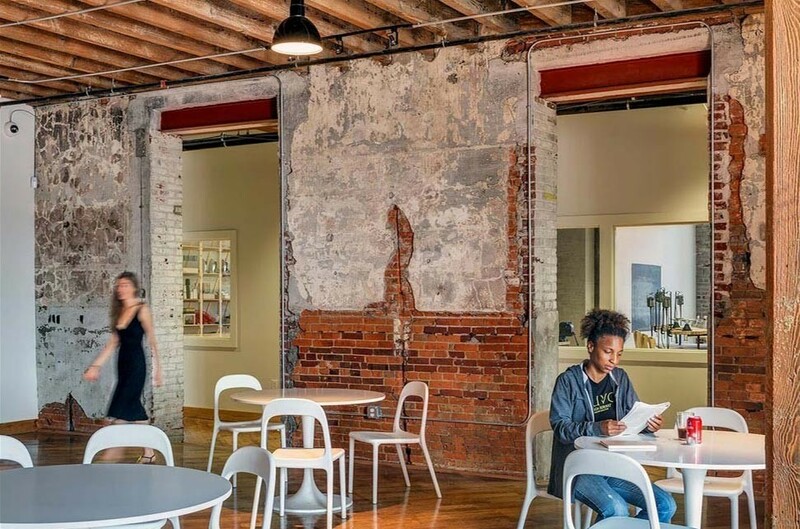 Co-working clubs can also add to an area’s tapestry, filling the gaps between big businesses, homes and and retail spaces. 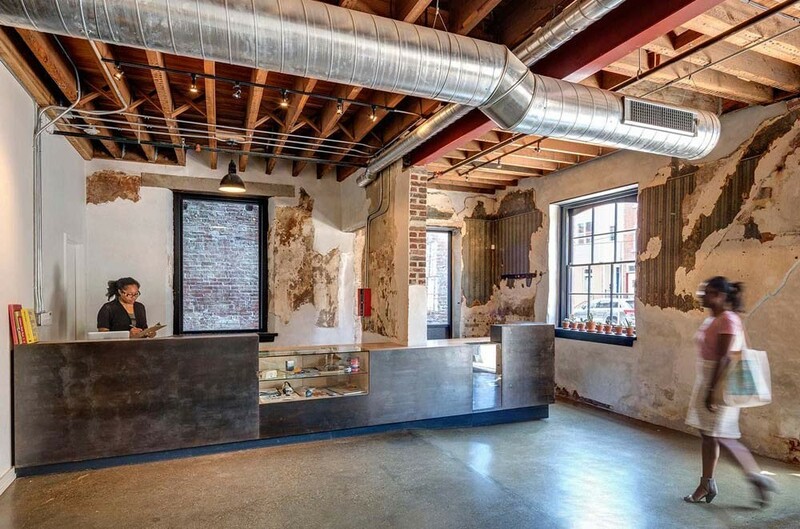 Over in Philadelphia, local entrepreneur Paul Maiello and developer Macro Sea joined forces to turn a former church in the Northern Liberties area into a 27,000 sq ft co-­working facility. 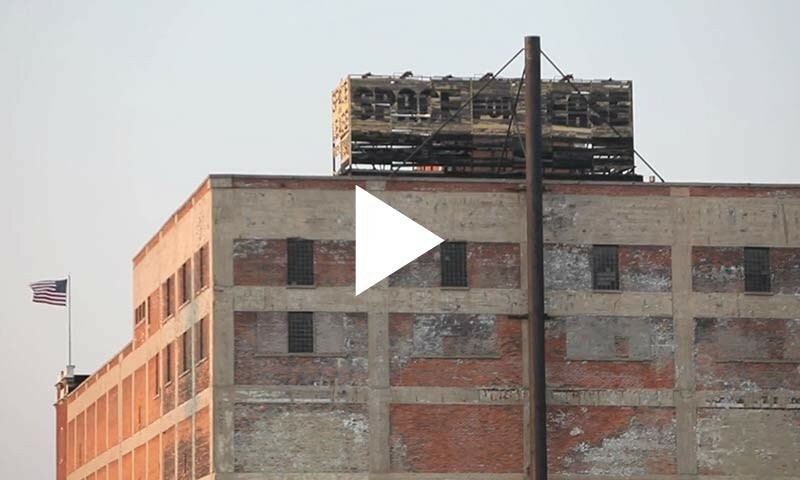 Constructed in 1854, the building has had many lives – from a paper box factory to an electrical supply warehouse – but by 2010 it lay derelict and boarded up. Co­working clubs can also add to an area’s tapestry, filling the gaps big businesses, homes and and retail spaces. Originally built as a church in 1854, the property has also been a cardboard box factory and an electrical supply store. An additional storey was added to the church’s original structure (right), and later, an adjoining warehouse storage space (left). Maiello, who lives in the neighbourhood himself, decided to buy the space and turn it into a creative hub, bringing it back into neighbourhood use. For him, the space fills a void in the neighbourhood’s overall cohesion. ‘It shows you can have small industry next to residential and retail, but you really need all of those things,’ he says. Big developers are beginning to wake up to co­-working’s pulling power, making it a core part of their place­making strategies. Over in London, a vast shared workspace is the lynchpin in a major plan to regenerate the derelict Royal Docklands. The first phase of the £3.5 billion masterplan – drawn up by Fletcher Priest Architects – will see the transformation of the crumbling Millennium Mills into a tech and media co-working hub. Boosted by a £12 million investment, it’s scheduled to open in 2017 before the completion of 3,000 homes. We have a unique opportunity here to bring together many of the leading edge activities, with the space to grow, to collaborate, to move our city forward,’ says Elliot Lipton from the Silvertown Partnership. ‘We have now marked the start, with Millennium Mills set to house half a million sq ft of creativity at the heart of Silvertown. Beyond the capital, co-working has also been crucial in bringing the Liverpool’s defunct docklands back into use as the Baltic Triangle – a thriving new creative quarter. It seems our cities’ industrial badlands are the perfect candidates for co-working’s midas touch.